Curls and waves are beautiful, but it can be really hard to dry them without ending up with a load of frizz that drives you mad. However, with a diffuser, you will often find that you can keep your natural look while eliminating the frizz. Plus, with the models that we choose, you don’t need to worry about damaging your hair. In fact, it will probably come out looking even healthier than before. We are here to help you, and also to offer some advice, so that you can find the best diffuser for curly hair. We have put this guide together, compiling all of the relevant diffuser for curly hair reviews in one place, so you can find the best model to keep the frizz away. 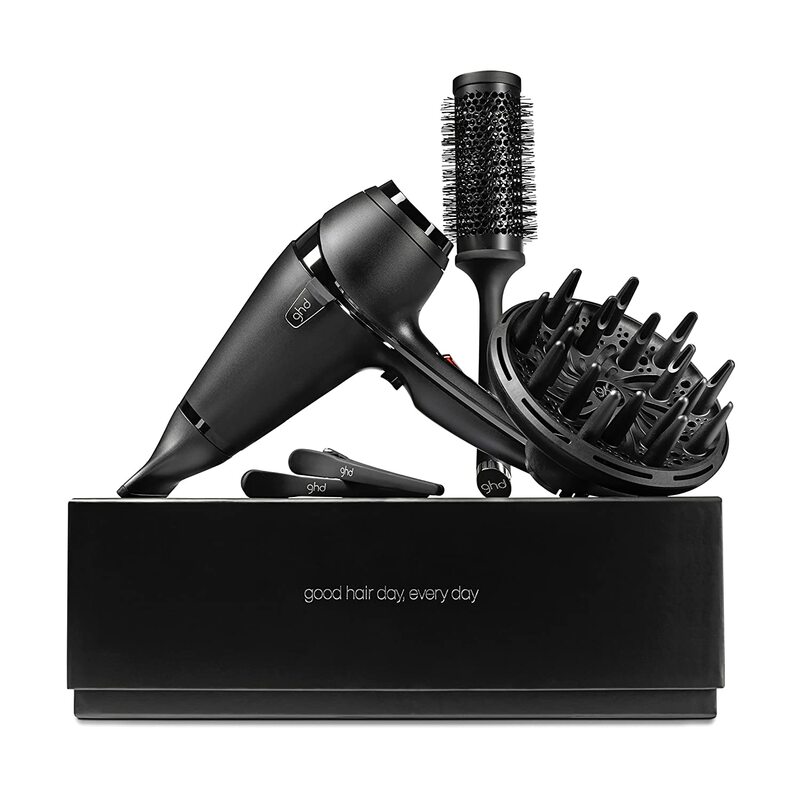 GHD is one of the most successful brands on the market, and it’s because they know exactly what their customers want and when they want it. Naturally black hair is not always easy to manage, but we are sure that this model will do the trick. Have a look below and see for yourself. 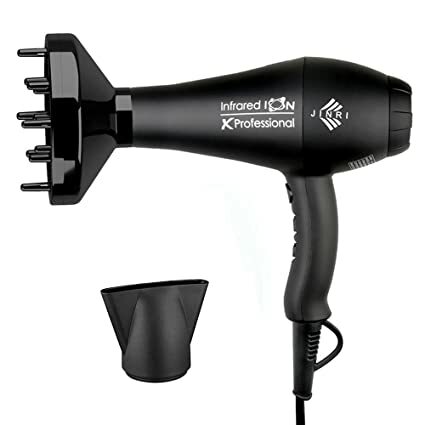 This hairdryer has a classic look in black and offers the kind of power you would expect from a salon, allowing you to achieve the best possible look at home. 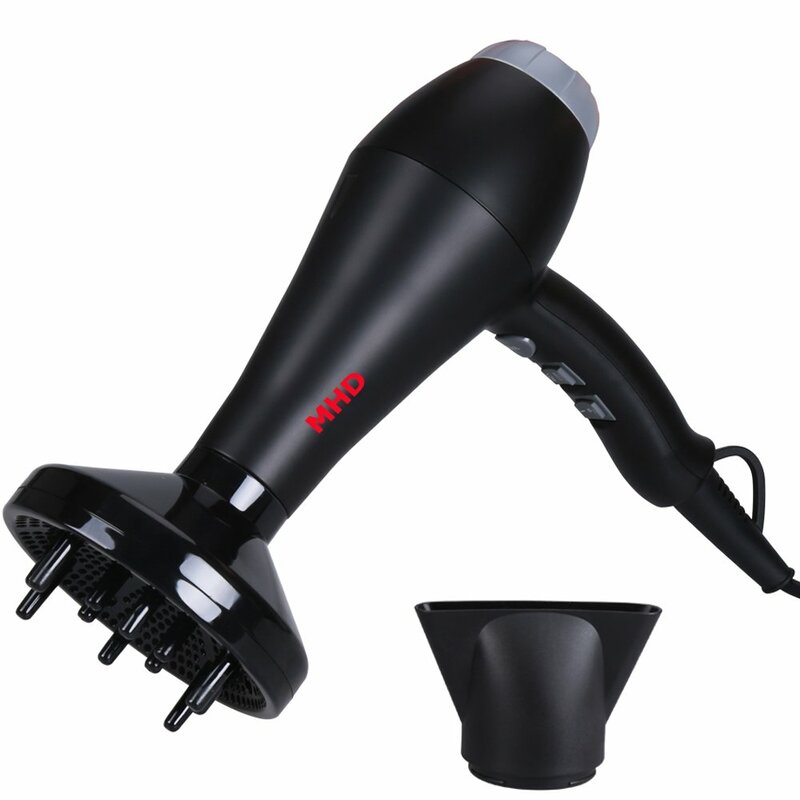 It’s powerful, but also uses ionic technology so that you are left with smooth and shiny hair. This will remove the frizz and leave you with hair that looks and feels much healthier than before. It features variable power and temperature controls, so you can style and dry your hair the way you want to and at your desired speed. It features an ergonomic design, so no matter which hand you use, you will be comfortable. The styling kit also comes with a brush and clips, so you know you are getting a good deal. Some customers found it to be a little heavy when they are using it. This affordable hairdryer comes with an excellent diffuser that will stop your hair from frizzing and keep it looking wonderfully healthy. It is true that it can be a little heavy, but the comfortable handle and quick drying time mean that you won’t be holding it for too long. With a great range of accessories and a professional feel, this diffuser will keep your natural black hair just the way you want it. Remington is another big brand, and one that prides themselves on their ability to deliver excellent quality and superb products. If you are looking for a good and reliable budget diffuser for your curly hair, then this is the one to go for. This hairdryer comes in a really cool metallic shade, leaving you with something a little different from the norm. The grille is keratin and macadamia covered so that it leaves you with hair that is not only shinier, but also healthier and smoother. With a professional look and build, your hair will be dry and radiant in no time at all. Compared to a standard Remington hairdryer, this model has 90% more ions, which means that you will have way less frizz and be left with perfectly smooth hair. It has three heat settings and two speed settings, giving you full control, but also comes with a concentrator on top of the excellent diffuser. With the addition of a cold button, your style is here to stay. Some customers have found that this model did take a little longer than they expected to heat up. This budget diffuser is perfect for keeping curly hair natural and without any frizz, so you can wear your hair any way you want without worrying about it looking like a mess. With a professional design and excellent results, it’s worth the time it takes waiting for it to get warm before you use it. Plus, it comes at such an excellent price that it’s a bargain you will not want to miss out on. MHU I a great brand to go for if you are searching for a diffuser that provides excellent results and has been made to work just as well as a professional model. Have a look at the reviews below to see if this is the diffuser that you need. This model has a really sleek and modern design that will leave you feeling impressed from the moment you open the box. In addition to this, it has a salon feel that will allow you to keep the style the hairdresser gives you from the comfort of your home. It even comes with a fantastic warranty, so you know the manufacturer has faith in it. It uses far infrared heat to reduce the drying time by up to 50%, so you don’t need to spend as much time waiting for your hair to dry. Plus, the variable speed and heat settings give you a lot more control. It comes with a concentrator attachment as well as a diffuser – the latter of which is ideal for giving your curls volume while also removing the frizz. Some customers have had a little trouble attaching the diffuser and the concentrator to the hairdryer. This diffuser for curly hair comes with a salon feel and equally good results. The diffuser works superbly to remove frizz and create volume, and while there have been a couple of occasions where the attachments have not fit very well, these incidents appear to be quite isolated. The majority of customer shave had no issues, and this model is perfect for those who want salon quality at a low price that they can afford. This stylish hairdryer comes in a tasteful mix of black and gold, and has been made with the intention of recreating a salon blow dry without you needing to put in a lot of effort. You can even place it on the secure stand so that you can focus on brushing and styling while your hair dries. The concentrator nozzles mean that you can really style your hair, and the diffuser will help to keep things natural without leaving any of the frizz behind. After all, there’s nothing worse than frizzy hair. With several heat and speed settings, your hair will dry fast and leave you looking great. The far infrared technology that this hairdryer uses means that your hair will get dry up to 50% faster, and will be left looking shinier and healthier than ever before. Plus, the diffuser and negative ion technology mean that your hair will lose the frizz while still retaining your natural waves and curls. 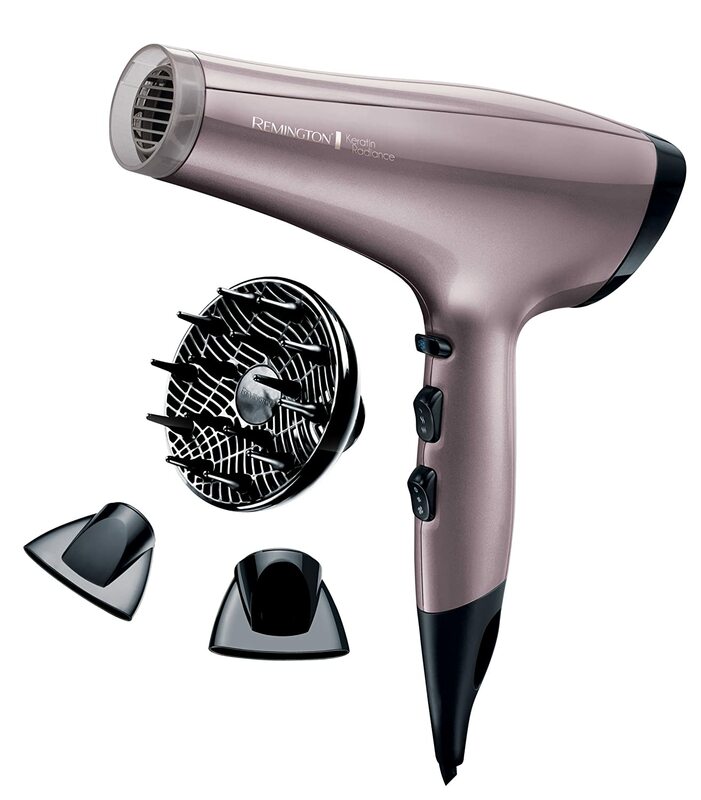 With two speed settings and several heat adjustments, you have total control over the way you dry and style your hair. Plus, the removable rear filter means that your hairdryer can have a longer life. All of this comes at an unmissable price that you need to check out. Hopefully, this guide has helped you to find the best diffuser for curly hair. We know how hard it is to keep your curls and lose the frizz, so having a good selection of models to choose from means that you are sure to find something perfect for you here. No matter what your budget is, there is a diffuser that will fit your price range. Plus, we have a model that suits just about every hair type out there, as we ensure that we cater to everyone’s needs. We hope you found that you were looking for. 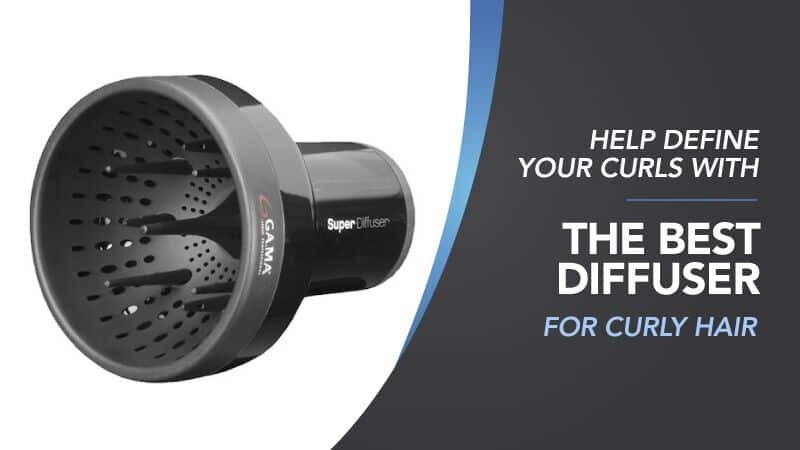 What did you think of our diffuser guide? Are there any that you would have liked to see or recommended? We love hearing from you, so make sure to leave us a message in the comments below.